German Chancellor Angela Merkel on Friday inaugurated the new, fortress-like Berlin headquarters of Germany's scandal-plagued BND (Bundesnachrichtendienst) foreign intelligence service. With the arrival of the school for the intelligence agencies in January and the relocation of the German foreign intelligence service from Pullach near Munich and other locations, the move to the modern headquarters in central Berlin was completed. 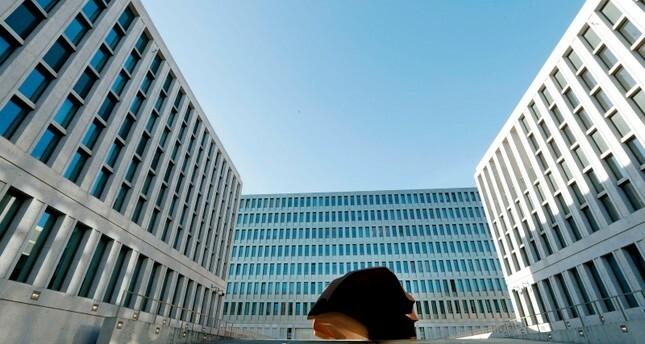 Around 4,000 of the BND's 6,500 secret service agents are now working in the huge new building on the Chausseestrasse in the city's Mitte district. Merkel, who grew up in the East German police state, herself expressed anger at the news that Washington had for years tapped her mobile phone, insisting that spying on allies "is not on". But Germany was soon forced to admit that the BND had itself eavesdropped on targets including the French presidency, the EU and international media organizations. Last year the world's largest internet hub, the De-Cix exchange in Frankfurt, challenged the BND over its mass capture of international communications, but a German federal court in May approved the surveillance. The massive operation to build the new BND headquarters, too, did not pass without delays, budget blow-outs and glitches. In 2011, the agency had to admit that the blueprints for the sprawling new complex had been stolen, but played down the security risks posed by the loss. And in 2015, thieves broke into the building site and stole newly fitted water taps, causing massive flooding damage that media dubbed the "Watergate" scandal. Former BND chief Gerhard Schindler on Friday complained that the agency's technical surveillance had stayed behind at the old Bavarian base, saying there was "no rational, logical reason" for this. For the employees of the BND, which is traditionally viewed very critically in Germany, and its President Bruno Kahl, the opening by Merkel is an important sign of recognition. Kahl pledged further reforms of the service following the move to Berlin. "We will be dedicated to the unending task of further optimizing our structures, processes and products," Kahl said as Merkel officially opened the new headquarters. Above all, the BND wants to push its recruitment offensive, Kahl said. The world is becoming increasingly confusing and uncertain. Crisis regions, international terrorism, global organized crime structures, as well as cybersecurity and nuclear proliferation concern people and governments, Kahl said. All the more important are reliable sources and information to understand events and developments, he said, adding that in order to make decisions in foreign and security policy, politicians need insights and assessments on which they can rely. The construction costs were around 1.1 billion euros (1.24 billion dollars), a jump from the original estimate of 720 million euros. In addition, 206 million euros was spent on furniture and technology. A lot has changed with the move from the hermetically sealed former location on the outskirts of the Bavarian capital to the hectic heart of the capital city. The number of inquiries has risen, as have the briefings of politicians and government officials.